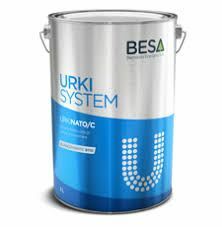 Besa Val - Quick drying synthetic gloss industrial paint. It is designed for the painting of agricultural machinery, industrial vehicles, fork-lifts, cranes, construction equipment etc, where quality at a low cost is required. It stands out for its flowing capacities, high gloss and quick drying.